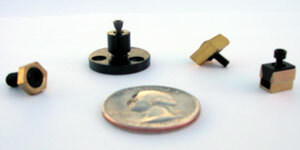 Micro Clamps for Micro Machining | Mitee-Bite Products LLC. 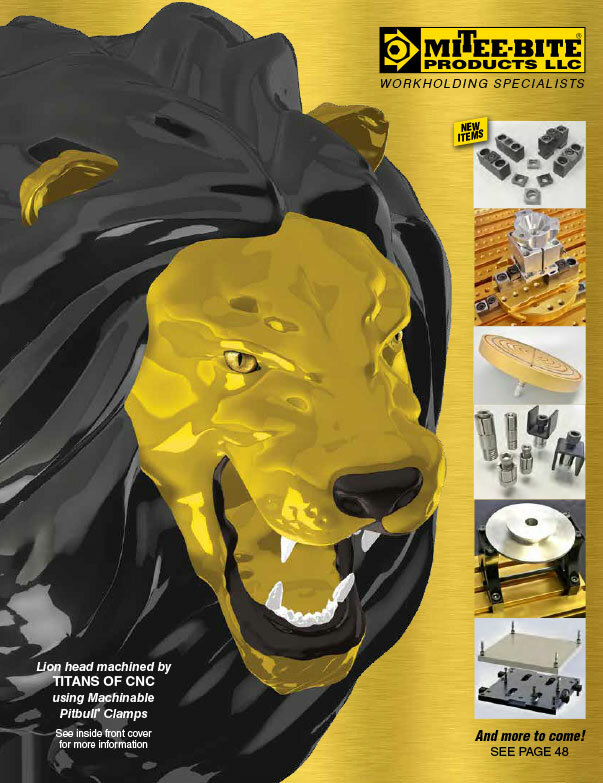 Mitee-Bite Products specializes in low profile edge clamps in several different styles and sizes for jigs and fixtures, including a range for micro machining. The miniature clamps are available in cam action design, wedge design and Pitbull® design which bites in and pulls down. Some of these clamps are less than 1/8 inch high and 3/8 square allowing for dense fixture loading of miniature work pieces. Mitee-Bite’s clamps can be operated manually and the wedge and Pitbull® clamps can be activated using a hex type torque driver for quicker loading and unloading. The photos show density loading and the different type of clamps.